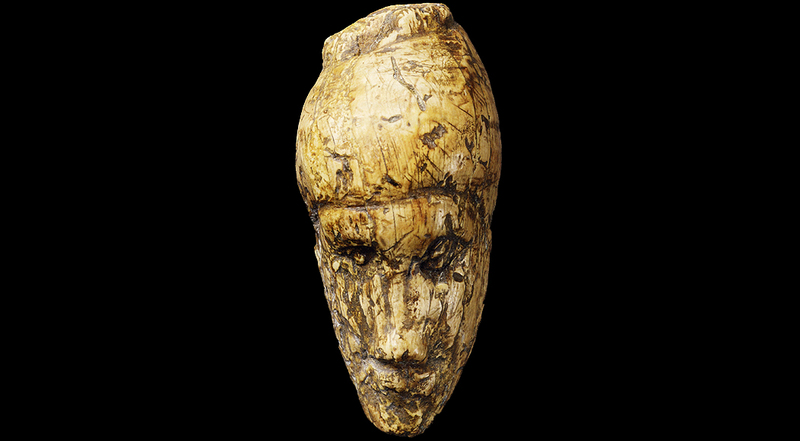 This ivory portrait head could depict a man or a woman but the latter is usually assumed. The head is sculpted in the round so that the oval shape of the face is realistically curved. 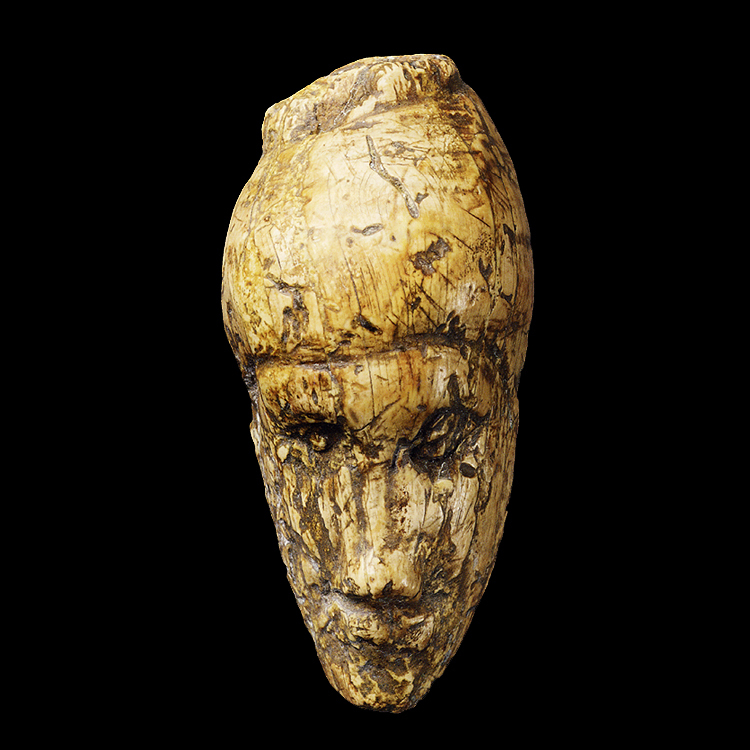 The hair is not indicated but an incised line marks the top of the forehead framing the face. Eye brows are carefully drawn above exceptionally detailed eyes; the nose and mouth are accurately proportioned. There are no ears but these might be covered by the hair. Dolní Vestonice, Moravia, Czech Republic. 4.8 cms high; 2.4 cms wide; 2.2 cms thick.